The Helikon Tex Swagman Roll Poncho is an insulation layer with a number of uses. This insulated poncho is constructed from Helikon’s Windpack nylon with Climashield Apex insulation and YKK zippers. It features a large zippered closed front pouch, insulated hood, and cinch straps that allow the Swagman Roll to be gathered around the wearer. The Swagman Roll is 57″ x 78″ and weighs in at 26 ounces. It can be packed into a stuff sack or into its own pocket (which is printed with suggestions for use). At that weight, you won’t mind taking it along in your kit for use as a quick access insulation layer when you stop moving, as a light sleeping bag, or to add insulation to your normal sleeping bag. It is compatible with USGI pattern ponchos for use as a bivy. 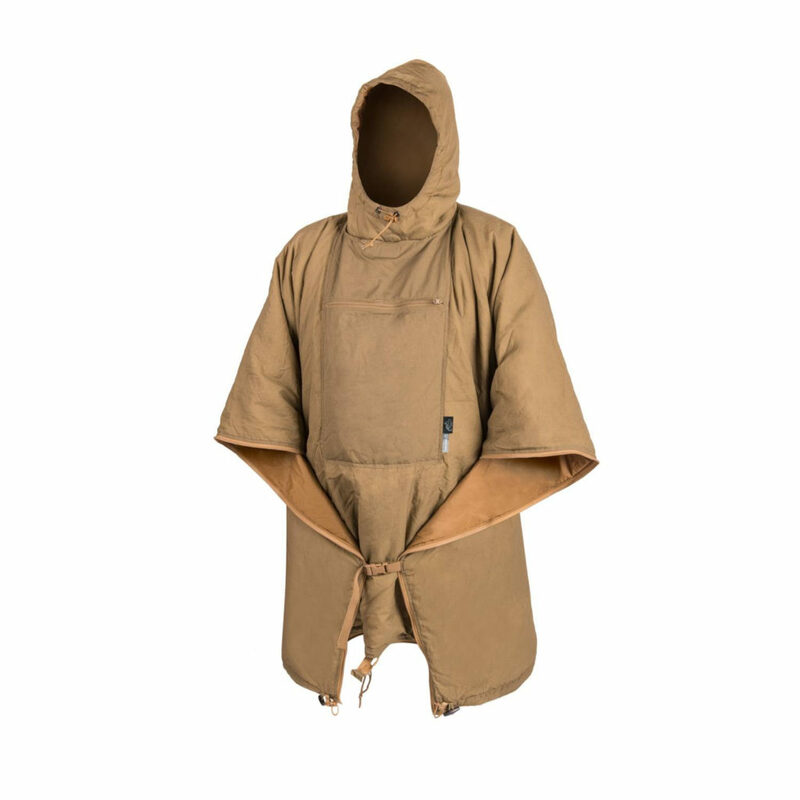 Check out the Swagman Roll Poncho at Helikon-Tex.com. $130 Obi-wan Kenobi costume. Ok then.